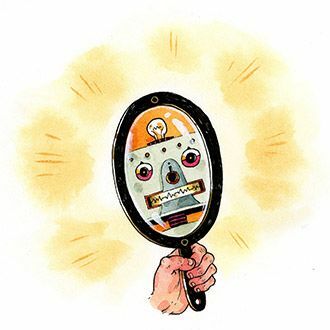 From Nautilus Magazine, this article takes a look at efforts to make emotionally intelligent robots. Researchers currently limit any efforts to teach robots to "feel" emotions to six emotions "anger, sadness, disgust, happiness, fear, and 'neutral.'" One of the issues I see with this EVER happening is that human emotions are body-based (unless we create robots with biological bodies). Antonio Damasio is the researcher who makes this most clear in his several books. In our daily usage, feelings and emotions are often used interchangeably. Emotions are what we experience in the body, which our brain then interprets into feelings. 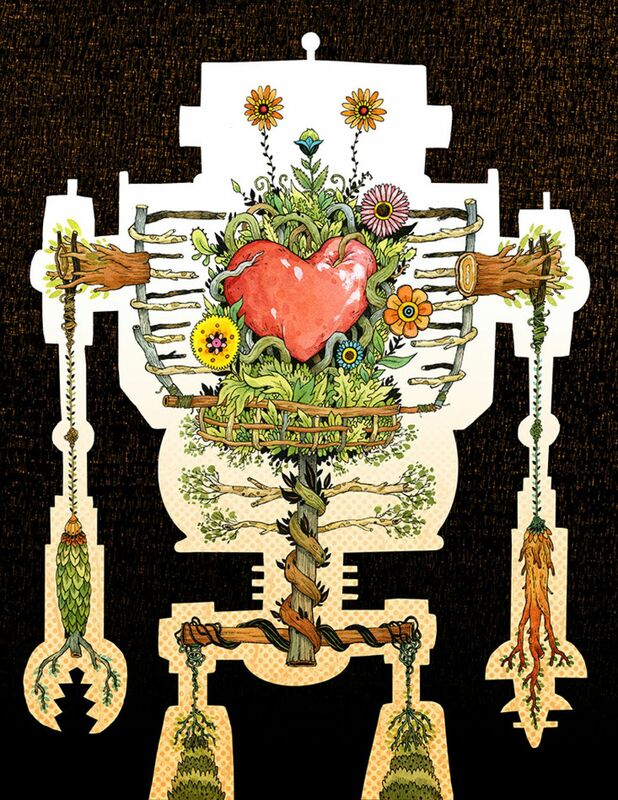 Robots do not have a peripheral nervous system (PNS) as we do, they can not have an enteric nervous system (ENS) [see here also] as we do, and they can not have an autonomic nervous system (ANS) as we do. 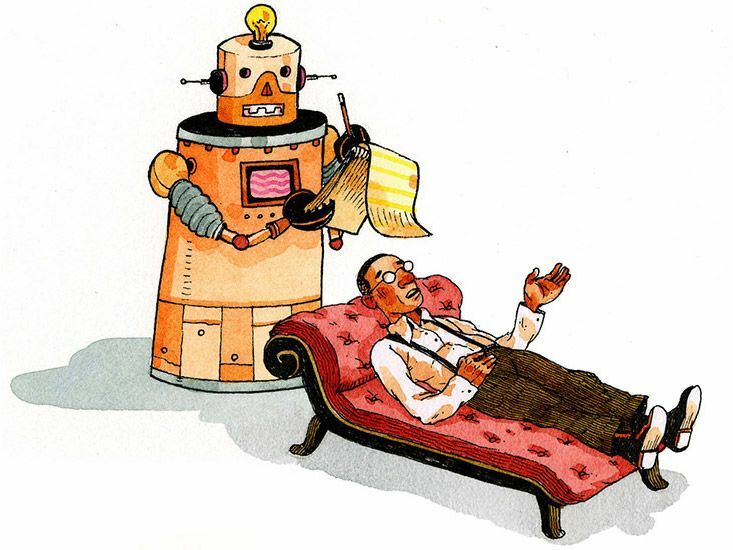 While robots might be understood to have "unconscious" processes much like our ANS, those processes are not "embodied" as ours are and, therefore, cannot be a part of the emotion system in the same way a rapid heartbeat can generate feelings of anxiety (the emotion is the combination of rapid heartbeat, shallow breathing, and stomach butterflies, which our brain then interprets based on context as either anxiety or excitement). Anyway, all of this to suggest I have serious doubts about robots and emotions. For an interesting film take on this, see Robot and Frank (image at the top is from the film). “I just love robots,” says Lim, a Ph.D. student in the Department of Intelligent Science and Technology at Kyoto University in Japan. She uses the robot from Aldebaran Robotics in Paris to explore how robots might express emotions and interact with people. When Lim plays the flute, Naoki (the Japanese characters of his name translate roughly to “more than a machine”) accompanies her on the theremin or the egg shaker. She believes it won’t be too many years before robotic companions share our homes and our lives. 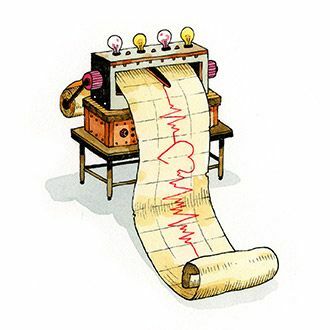 With emotions reduced to their components, recorded, and analyzed, it becomes possible to input them into machines. The value of this project might seem simple: the resulting robots will have richer, more interesting and more fun interactions with humans. Lim hopes that, in the future, how Naoki moves and how it plays the theramin will allow it to express its emotional states. Neil Savage is a freelance science and technology writer in Massachusetts. His story for Nature about artificial tongues won an award from the American Society of Journalists and Authors. He has also written about companion robots for the elderly for Nature, electronic spider silk for IEEE Spectrum, and bionic limbs for Discover. To see his works, visit www.neilsavage.com.